Due to ever expanding population growth and increased awareness of the health benefits of seafood, the global appetite for fish is on the rise. Today’s world fish consumption is at a high of 19 kg per individual per annum. The demand for fish, as a rich source of quality protein and omega-3 oil, now far surpasses the sustainable yield of the ocean. To meet the ever-increasing demand and address the shortfalls in capture fisheries, aquaculture has expanded very rapidly and is now the fastest growing food-producing industry in the world. The so-called “Blue Revolution” began in the 1960s through the development of large-scale industrial commercial processes to farm fish, shellfish and seaweed. Yet this rapid growth has not addressed the need to ensure increased production that is environmentally sustainable. The use of wild fish resources in aquaculture feeds (aquafeeds) for carnivorous fish, such as salmon or shrimp, is considered unsustainable. Aquaculture’s ever increasing demand for wild harvested fish as feed inputs is putting significant strain on this natural resource. If aquaculture is going to continue growing internationally what can be done to address the pressure on wild caught fisheries? Historically, aquafeeds have relied heavily on fishmeal, which comes from wild harvested pelagic fish catches.Fishmeal is a limited natural resource (~5 million tonnes per annum). Over the years, market forces have reallocated the use of this finite resource between fertilisers, livestock feeds and aquafeeds. In 2010, the aquafeed industry used 73% of all fishmeal harvested. In order to sustainably expand the aquaculture industry the inclusion rate of fishmeal in aquafeeds needs to be reduced. In the early days of the Blue Revolution, a key criticism was that aquaculture of certain types of fish, particularly carnivorous marine fish and shrimp, costs more fish than it produces, requiring as much as 5 kg of fish in the feed to produce 1kg of farmed fish – a ratio of fish-in/fish-out (FIFO) of up to 5. However, this criticism is now unsupported as FIFO is closing in on a ratio of 1 or is less than 1 for most of the major fed aquaculture species today. The culture of many fish species such as tilapia, catfish, milkfish, and carp, which represent more than 40% of total fish production globally, yields more than twice as much fish as it uses. The salmon industry has accomplished a major turnaround and is today a net producer of fish protein, which demonstrates that even carnivorous high value species can be more sustainably cultured. Reduced reliance on fishmeal came as a result of intensive nutrition research, particularly the quantification of requirements for digestible energy, amino acids and other micronutrients as well as the rigorous evaluation of alternative ingredients. Fishmeal is an excellent source of protein and other essential nutrients which are in a form readily available to aquaculture species. Due to the increasing price of and competition for fishmeal, replacement by terrestrial feed sources has been and continues to be the trend. However, the availability and price of plant ingredients are also dependent on external factors such as freshwater availability, and could ultimately compete with direct human consumption. 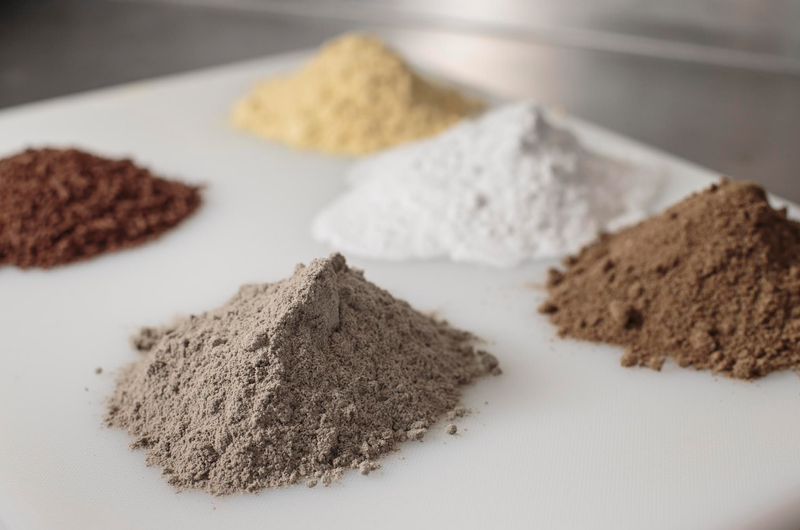 Animal processing by-products such as poultry meal, blood meal, feather meal, meat and bone meal are becoming an important source of recycled nutrients, and advances in processing have improved their bioavailability for fish. The increased use of fish waste or fish processing by-products, which currently accounts for about 35% of fishmeal, could also significantly increase fishmeal availability and boost aquaculture production. It is estimated that only 20% of total fish by-catch and processing wastes are currently used – and the quantities are far from insignificant. A better use of our fisheries waste could in fact double the quantity of fishmeal available to satisfy further demand. One of the biggest challenges is current restrictions on the use of animal wastes as protein sources in place in many countries. Recent research in aquaculture nutrition on alternative feed ingredients and feed additives has resulted in step change improvements in aquaculture sustainability. While great progress has been made in the replacement and reduction of fishmeal in aquafeeds, it is still used at relatively high inclusion levels in shrimp feeds today. NovacqTM, a novel bioactive developed over the last decade by CSIRO, is potentially a game changer for the shrimp industry. CSIRO scientists have demonstrated that shrimp feed without any fishmeal can result in similar or better performance than a classic fishmeal-based feed when the bioactive NovacqTM is included. These results pave the way for the development of shrimp feed with no wild caught marine ingredients. The next major frontier of Aquaculture Nutrition is the replacement of fish oil in fish feeds with novel sources of long-chain (LC, ≥C20) omega 3 rich oils – an area in which CSIRO is also actively engaged. This is a lot trickier than fishmeal replacement because the good LC omega 3 oils are generally unique to the marine environment and need to be included in feeds to achieve aquaculture products with the same or greater human health benefit than wild fisheries products. The culture of marine micro-organisms is one possible solution, but at the scale needed for aquaculture this approach is not currently cost-effective. Genetic engineering of higher plants to produce the health-benefitting LC omega 3 oils is another potential solution, although such an approach could certainly attract renewed criticism from a range of consumer and NGO groups if not tested rigorously.